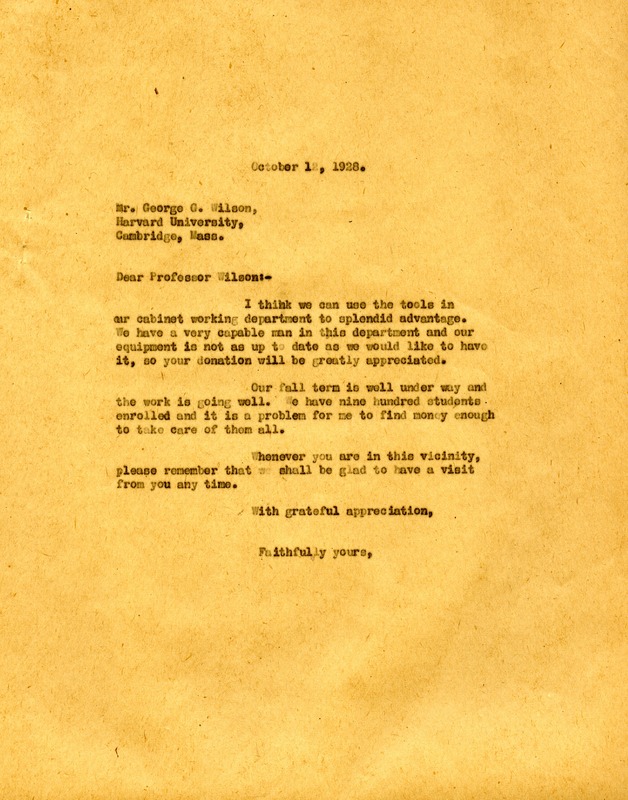 Letter from Harvard University,George G. Wilson, wanting to donate large collection of valuable tools for use in fine carpentry & cabinet work. 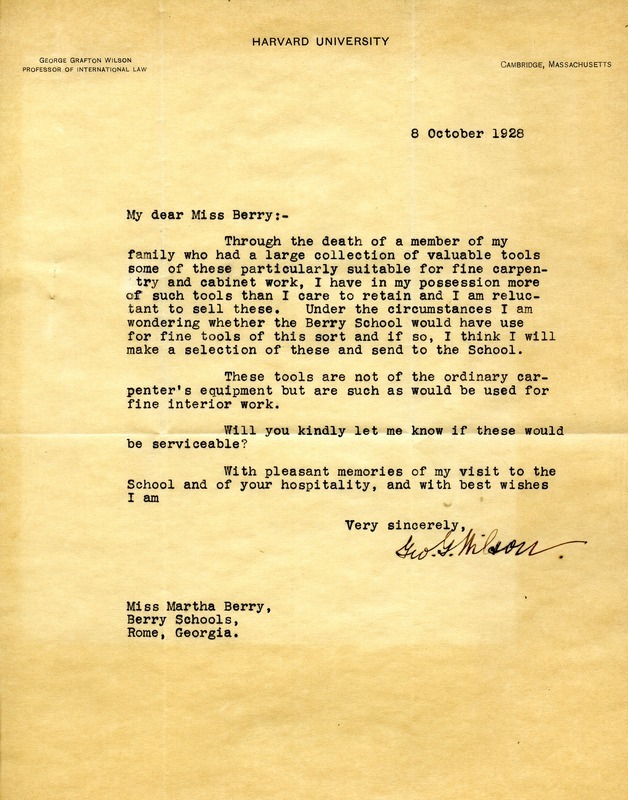 Letter from Martha Berry thanking him and accepting the tools that will be put to very good use. Mr. George G Wilson, “Letter to Martha Berry from George Grafton Wilson.” Martha Berry Digital Archive. Eds. Schlitz, Stephanie A., Meg Ratliff, Bob Williams, et al. Mount Berry: Berry College, 2012. accessed April 23, 2019, https://mbda.berry.edu/items/show/9313.